Take in the breathtaking Valley views from a variety of lodging options, including contemporary rooms, spacious suites, and detached villas. All accommodations include modern amenities to help you explore, relax and unwind. 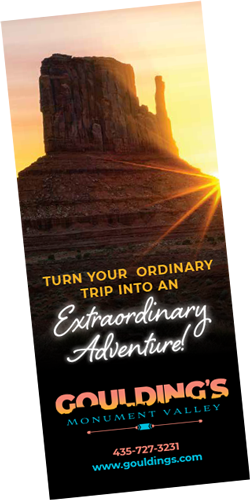 Experience the sights, culture, and history of Monument Valley through one of Goulding’s exclusive tours. Travel along backroads and trails not usually open to the public while being introduced to the unique culture of the native Navajo people. Relax under the starry sky while enjoying full RV hookups and tent sites, along with cable TV, wireless internet, full bathrooms, and a sun deck. Shuttle service connects campers to all Goulding’s amenities. Cabins also available. Enjoy the stunning southwestern sights of Monument Valley at Goulding’s Lodge – the area’s premier lodging and recreation destination. 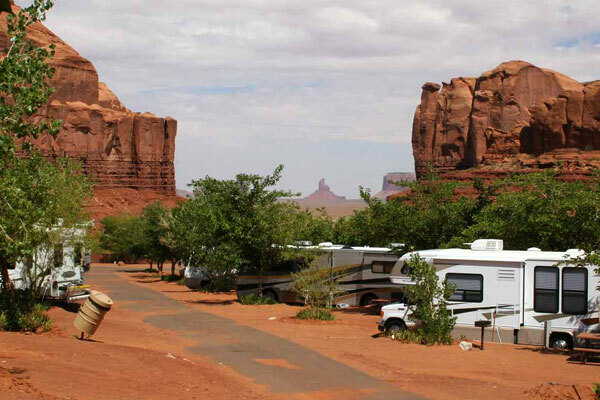 Whether you choose the lodge or RV park and campgrounds, expect endless views with resort-style amenities. But Goulding’s is so much more than just a place to rest. Feast on authentic southwestern and Navajo flavors in the Stagecoach Dining Room. Relax and rejuvenate in the indoor pool or on the sun deck. Commemorate your visit to the gift shop or pick up supplies at the on-site convenience store. 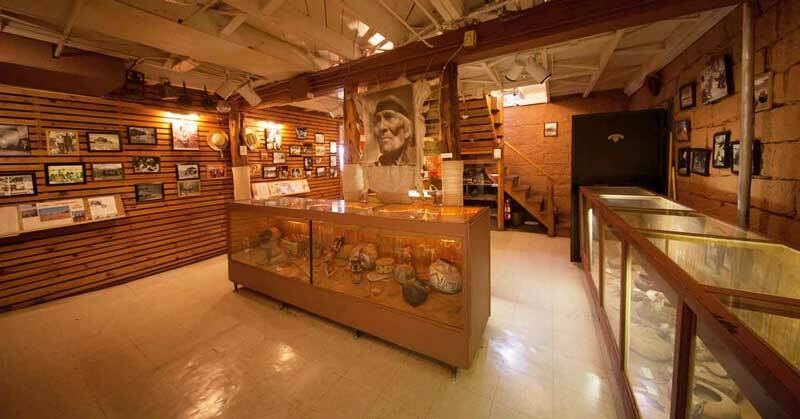 Take a glimpse into the past at the Goulding’s Trading Post Museum or catch your favorite Western in the Earth Spirit Theater. A private airstrip is also available. Goulding’s is a can’t-miss destination in your southwest sightseeing adventure! Submit your name and email and when we have special offers, discounts or rebates, we'll let you know first! Visiting Goulding's Resort & Tours? Download a copy of our brochure to learn more about the amazing amenities and accommodations that Goulding's has to offer! Goulding’s Lodge is steeped in a rich history, from native Navajo trading to the iconic Western films that put Monument Valley on the map. The museum explores all aspects of the area over the last 90 years. Open to all visitors. 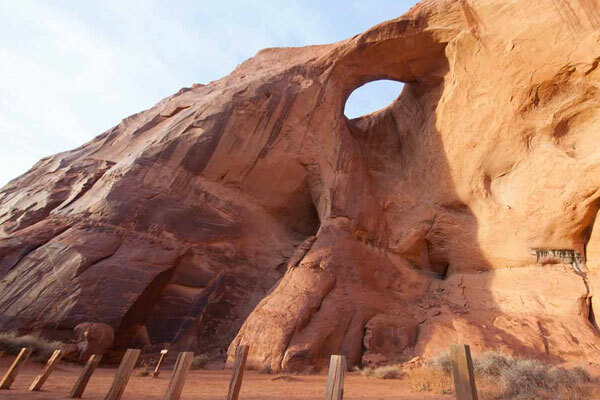 Dine on delicious traditional Navajo and Southwestern cuisine while taking in the surrounding sights of the Valley. Breakfast, lunch, and dinner are served in a hillside setting, offering unparalleled views and a glimpse into the local culture. Take home a memory from your Monument Valley adventure! 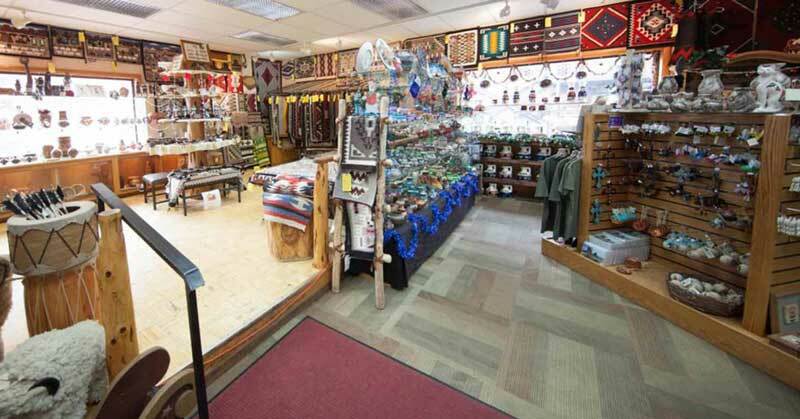 The gift shop features handmade jewelry, pottery, rugs and more. All artwork is guaranteed authentic, made locally or regionally by Native Americans. 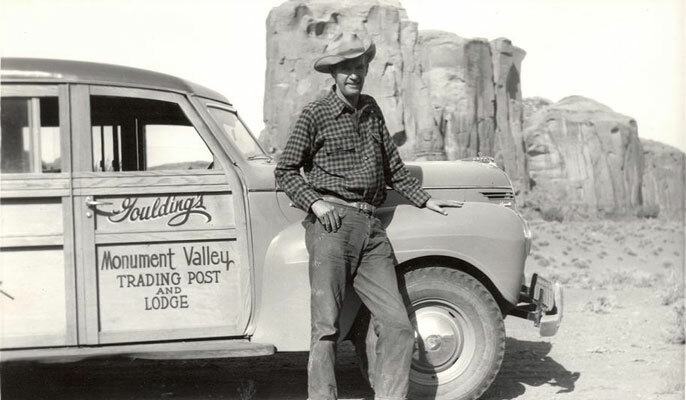 Goulding’s Lodge has been synonymous with Monument Valley for nearly a century. Harry and Leone (aka “Mike”) Goulding purchased land and started Goulding’s Trading Post in the 1920s. During the Great Depression, they saw an opportunity to bolster the local Navajo economy by bringing in movie production companies looking to film in the Southwest. 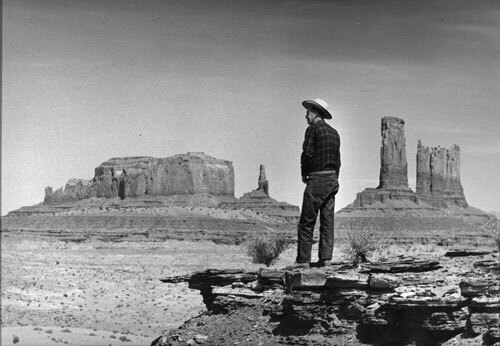 Harry met with director John Ford, the wheels were immediately set in motion, and the film Stagecoach started production in Monument Valley soon after. Since then, Goulding’s has hosted films crews, photographers, artists and tourists from around the world. The trading post has expanded to include a lodge, campsite, tour operation, restaurant, convenience store, and a private airstrip. 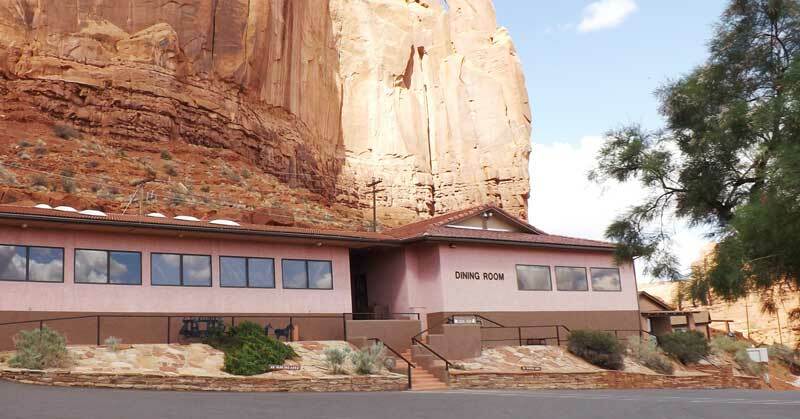 The LaFont family bought Goulding’s Lodge in 1981 and continues to keep the amenities modern while honoring the rich American and Navajo history surrounded by iconic landmarks. From classic Westerns to modern favorites, Monument Valley has set the scenic stage for countless movies. Visit the museum to see behind-the-scenes photographs and learn more about Hollywood’s love of the Valley. Sit back, relax and experience Monument Valley through the Western films that made it famous. 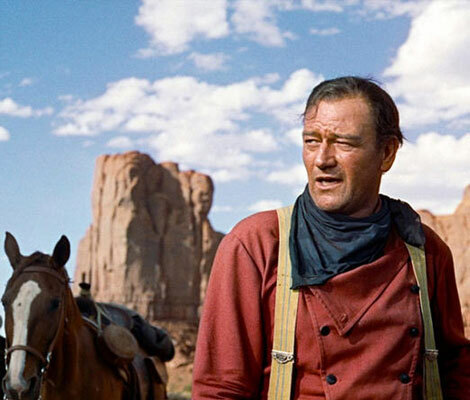 Iconic John Wayne movies rotate and play throughout the day. Click to see the current schedule. 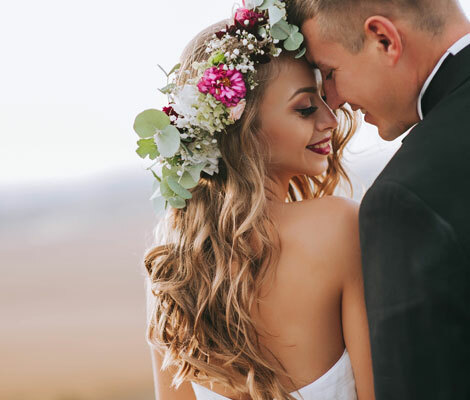 The breathtaking sights of Monument Valley are the perfect backdrop to weddings, social gatherings, and corporate events. Contact Goulding's Lodge for availability, packages, and more information. 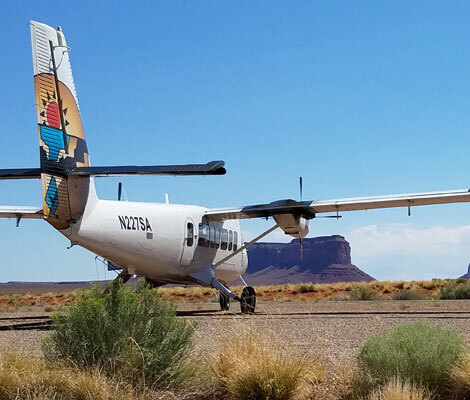 Fly in to see the scenic southwestern sights of Monument Valley and land on Goulding’s exclusive airstrip, one of the few in the area. Fuel and supplies also available. Click for details. Loved it with a CAPITAL "L" This area is best described as majestic. Beautiful, Iconic Bluffs and Mesa. Forrest Gump Highway is near here. Took the sunrise tour. I was going to do the drive myself, glad I sprung for the cash and had somebody else do the driving. We went from here to Page Az, then to South Entry of Grand Canyon. If you love BIG Nature. Take the trip. We stayed at Goulding's 1 night and had a cabin near the Store / Gas station just a bit down the road. Excellent, comfortable, backed the rental car up to the back door of the cabin and unloaded the cooler and suitcase. Could not have been easier. Our family took the sunrise tour of Monument Valley and were thrilled with the scenery and "photo ops." The ride was a bit rough over unpaved roads through the valley itself. The guide was Navajo and grew up locally so she showed us all the highlights and more. She told us local stories and made sure we were at a good angle to catch the sunrise at the Mittens. Expensive tour, but worth it! We stayed here after visiting 4 Corners and Mexican Hat. We arrived in time to take an afternoon tour which we did. We had dinner at their restaurant and a free movie featuring westerns that were shot in Monument valley, the showed Stage Coach this night. 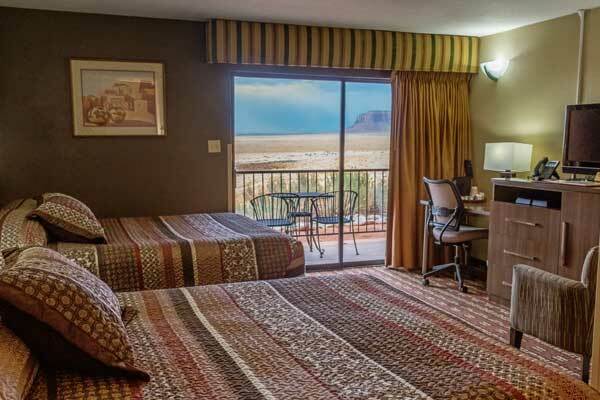 The room was big and comfortable and had a view of Monument Valley!! A nice place to stay! Book your stay at Goulding's Resort & Tours today!